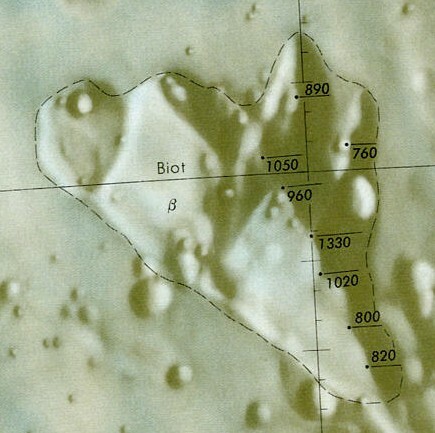 This reference named the feature as Mount Biot (named afet Jean-Babtiste Biot) and shows the highest point as 1330m. Reading the text on the LAC chart it says that the elevations on the chart were determined by shadow measuring techniques. Since my image shows a nice profile of the Biot ridge shadow I decided to try and reproduce the results of the 1960s measurements. 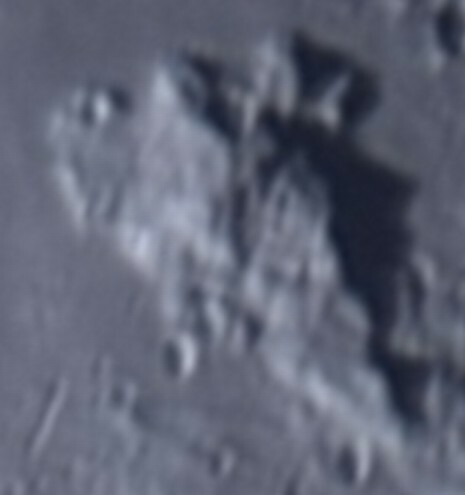 My source image: 19th Nov 2005 00:10 UTC. 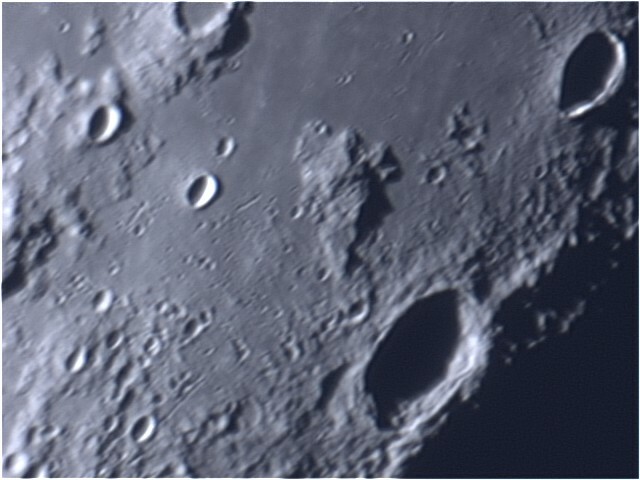 LX-200 10", f20, ToUCam approx 1000 frame stack. This only shows a very general agreement with the chart profile. Next I did a Google search on "height of lunar mountains" - this gave several references and it seems that several universities use this exercise as part of student coursework. 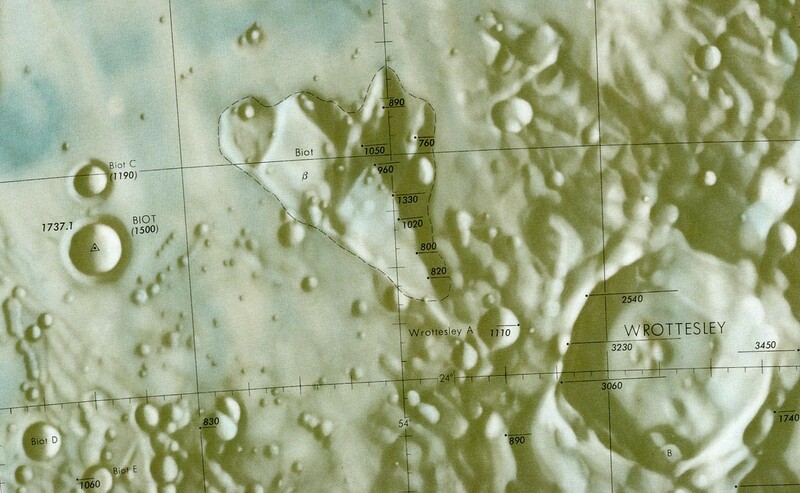 I carried out image frame calibration by reference to recent images of Mars with identical optical setup. These gave a disk of 96 pixels for the planet at 18.8 arc sec size (value from Carte Du Ciel). Hence image is 0.1958 arcsec/pixel. The maths described in the above link was used to determine the sun illumination angle which worked out to 4.09°. I then rotated the image -23° so that all the shadows were running directly across the image - this made the shadow pixel lengths easier to determine. These results seemed to vary considerably with the chart data. As another check I used similar maths to measure the diameters of crater Biot and Wrottesley, comparison with Virtual Moon Atlas values.